23 – the number of House seats Republicans are defending in districts that Hillary Clinton won in 2016. These Republicans are instantly vulnerable, and now they must go to their constituents and convince voters who cast their ballots for Hillary Clinton that two years of supporting the Trump-Ryan Agenda merits re-election. Good luck with that! 24 – the number of seats we need to flip from Red to Blue to take back the House in 2018. 28 – the average number of seats the majority party loses in the first off-year election. Guess what? 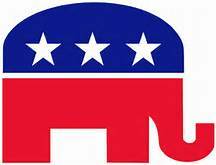 2018 is the first off-year election for Donald Trump and the Republican Party. 36 – the average number of seats the majority party loses when their President is under 40% in the polls. Guess what? Donald Trump, already mired in scandals and unpopular efforts to take away health care and cut taxes for his billionaire friends, is at 36% approval and falling. 79 – the number of House districts currently held by Republicans on the DCCC’s offensive battlefield list as ones we’ve identified as top, winnable targets in 2018. 209 – the record number of Democratic challengers who have registered with the FEC, who have raised more than $5,000, and who want to help us take back the Majority in 2018. As we’ve noted before, our two-party system has great weaknesses. But in the Age of Trump, with many Republicans continuing to try to repeal the ACA, lower taxes for the very wealthy, terrorize innocent immigrants, decimate essential agencies and services, and shy away from criticizing Trump even when he does or says the most despicable and abhorrent things, citizens willing to run for office and serve under the banner of the Democratic Party are perhaps the last best hope for restoring a modicum of greatness of our nation. As we also noted before, there are dozens of progressives running for office at all levels throughout the country, many supported by EMILY’s List. Any of us who are concerned with the direction in which we are heading because of Trump and the Republicans must find ways to support these candidates – or run for office ourselves. It is not hyperbole to say that lives depend on what happens in the 2018 midterm elections.